After not having interviewed for nearly 12 years, I’m back in the game and have some tips on how to help make your resume stand out. Let me start by saying that my resumes have evolved quite rapidly over the past two months. But more importantly, the response rate from employers to my resume have responded even quicker. Here are some of the things that did and didn’t work for me. What to include/excluded. For starters, I have been bloggging and managing websites for the past ten years. On my resume, I often show this period as a ‘planned break from work to raise my kids’. At least that’s how I started showing it. After all, I’m looking for work as a financial analyst or manager of some type of analytics, I sure don’t need to try to explain why I was writing and working on websites for the past ten years right? When using this approach, employers just flat out think you’re unemployable. In fact, I had one employer comment that I was “so far out of the market” that I couldn’t possibly be a good candidate anymore. Of course that is horse crap! I’ve kept my skills sharp and after having so many years of self employment, I am actually refreshed and looking forward to going to work for someone. So, what did I do? I added in my experience, but with some creative terms. Instead of saying I was a webmaster, like the other 500 million website owners, I added the position as owner/consultant, and described the types of analytical work and marketing related aspects of the work I had done. I left it pretty vague, but I also had some stories to tell about my experiences so when I was asked I could make the experience seem very useful. This helped me get more interviews, which should eventually lead to a job. Make lots of custom resumes. Perhaps the most important thing to understand in this day and age is that your resume is your marketing documents. Employers don’t care what you did unless you can make it relevant to what they want you to do. With that said, you should submit a different resume to each company that you seek employment with. Personally, I save a different copy of the resume with the name of the employer attached at the end for each company, so I can always go back and see how I marketed to them. For example, I found an analytics job for direct marketing. I added in my years of website experience and described it mostly as direct marketing using email, search marketing and paid search engine marketing. I got a call back the same day I submitted my resume. For the jobs that are more analytical, I describe my website experience as creating analytical reports using all of the data from the websites to optimize revenues and performance. After all, isn’t that what the company should be looking for too? While many people still won’t see your experience as that great, it will at least get you to the next step in the process. From there, you’ll be competing with a lot fewer individuals, so it comes down to your face to face marketing skills, and to how relaxed you can be when your life and job are on the line. Have you had some resume writing breakthroughs lately? Please share your thoughts. I have been using the same CV and only customize the cover letter, but customizing the cv as well sounds a good idea! But of course it will take some extra time too. Should I spend more time searching for the right job and spending as much time on the cover letter and CV as possible to increase the chances of getting the job, or should I start contacting more companies with a bit more generic letters? The key to getting noticed is to have a resume and cover letter that gets noticed. You should customize them both so that they are relevant to the specific position you are applying for. This simple step can increase the response rate to your resume dramatically, and is much more effective than just sending out countless resumes. The employer wants to know that you thought about their specific company and position before you applied, so make yourself standout by mentioning how your qualities match what they are looking for, as well as something nice or insightful about their company. Thanks for the comment, I have the same problem as Scott! Excellent post. One question though. While custom made resumes are key for sure what is your take on the accompanying cover letter. Isn’t that equally (or more) important? This post is great, the tips you have included are extremely useful and easy to follow. I think it is definitely important to ensure that your resume is unique and you add your creative touch, so that it stands out from everyone else’s. That way it is more likely to get noticed. All of these are great tips – especially the custom resume passage. 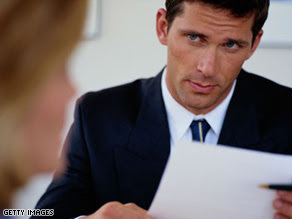 It is certainly important to tailor the resume to the specific job. As an HR Manager, I cannot tell you how unappealing a general-purpose resume looks – or even worse, one tailored to an entirely different job! Great Post, although I would add that its important to make sure that you do no repeat whats on your resume with whats on your Cover letter. No one will read the same information twice… They will just skip over it and any important information will be missed.